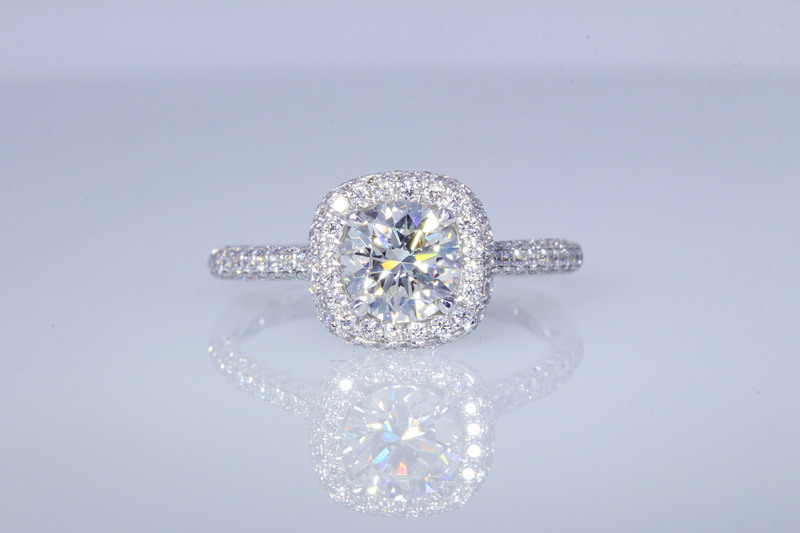 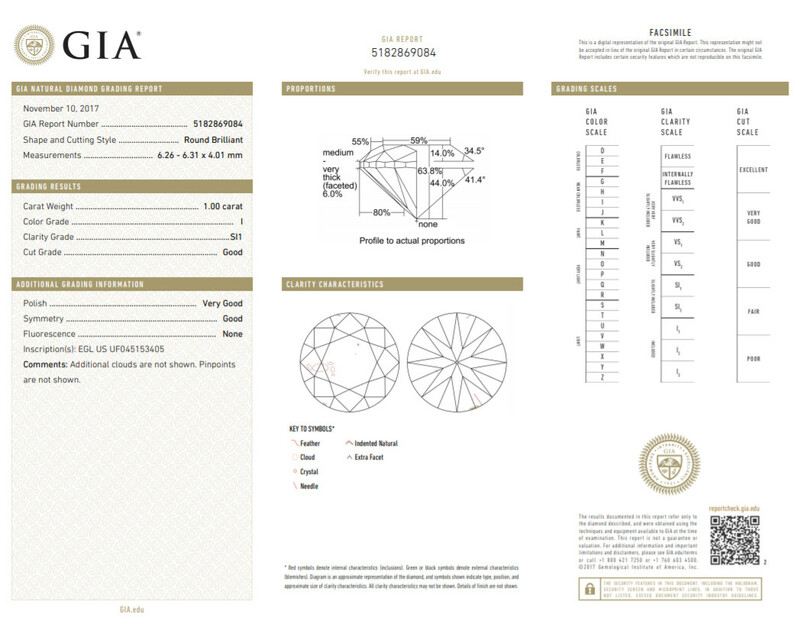 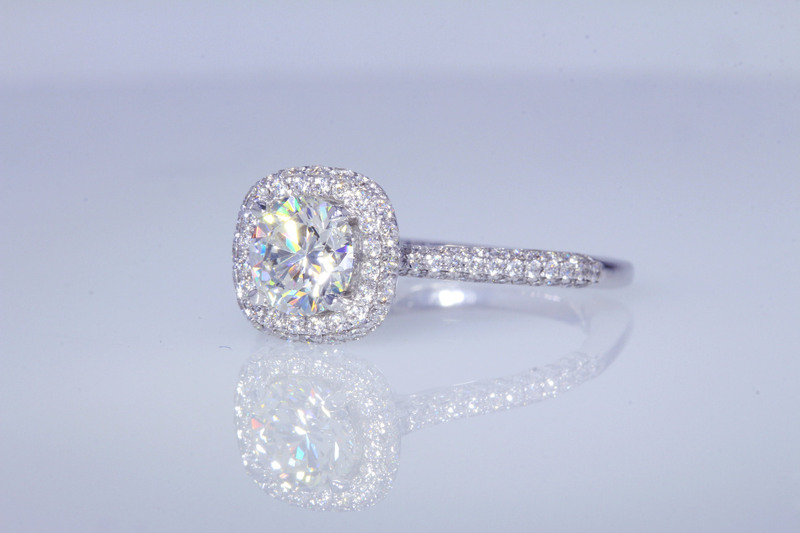 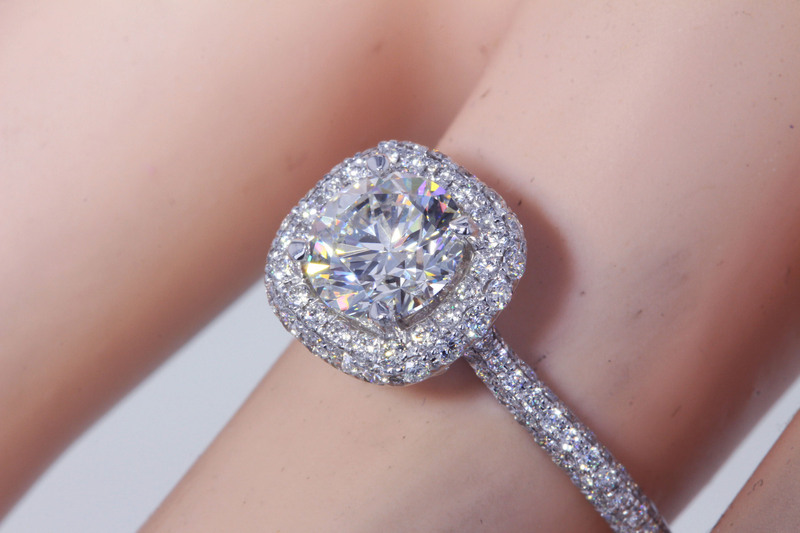 enter diamond is 1.00CT Round Brilliant GIA certified diamond with super white I color and eye clean SI1 clarity. 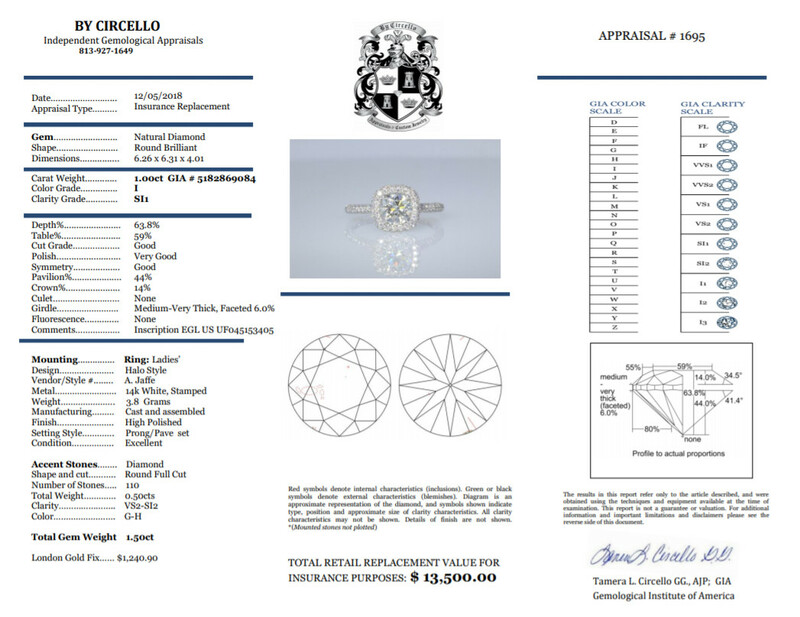 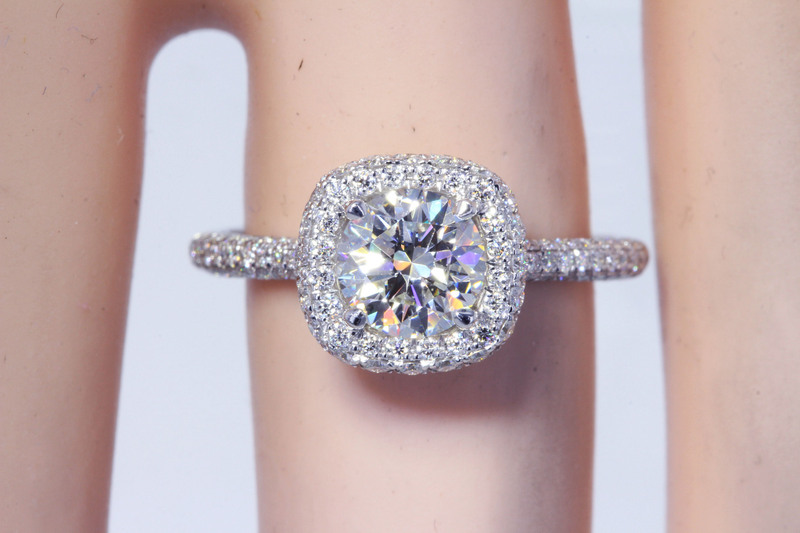 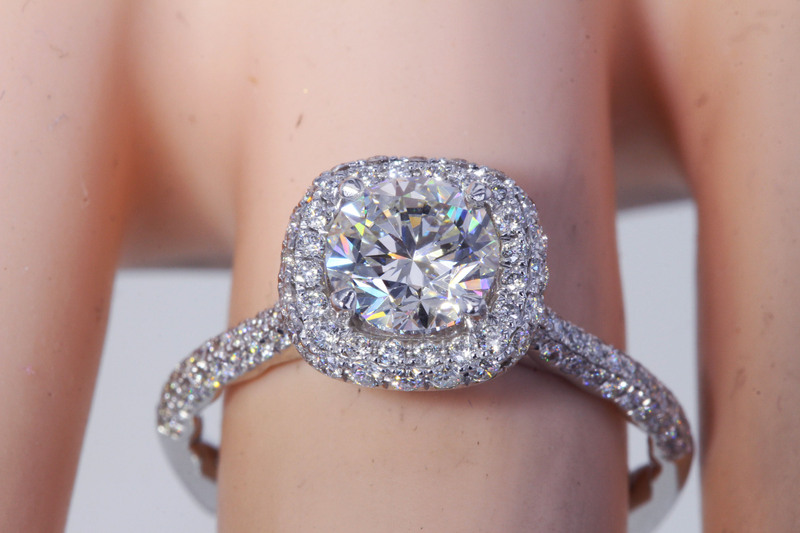 The Good Symmetry & Very Good Polish grade with Good cut grade shows the Brilliance & Fire the diamond puts off. 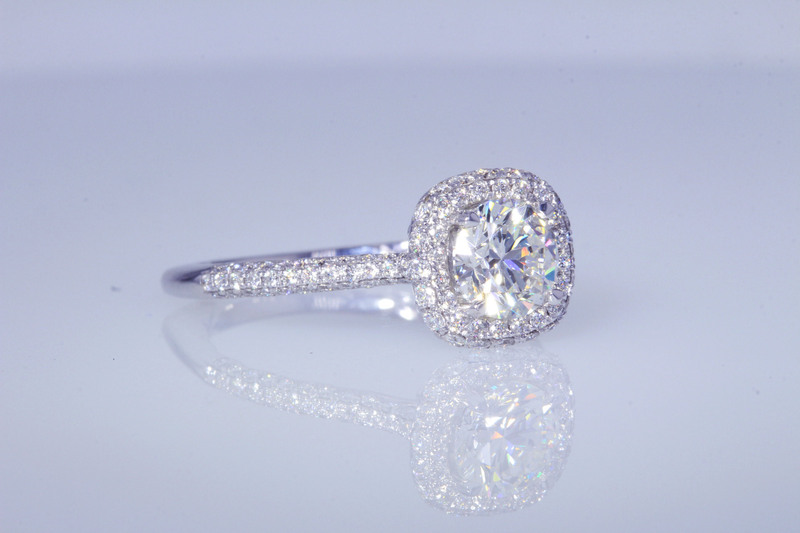 The diamond was just set in this stunning 14kt white gold A. Jaffe Designer halo setting with 0.50CT of high quality round brilliant diamonds for a total carat weight of 1.64CT and has amazing detail from the sides.